Well, not at the moment anyway! Very little has been happening of late with my hooky goodness as I have been studying for my GCSE’s! When I say me, I don’t actually mean me – we had O’levels in my day – but my eldest son has just started his and we’ve spent quite a lot of time revising – I’ve been chief tester and question asker! So I could now tell you lots about Photosynthesis, Genetics, Chemical combinations, electricity, To Kill A Mockingbird (which happens to be one of my favourite books anyway, so I could tell you lots about that before), Tourism, World War II and Espanol – actually my Spanish is rubbish as I studied French at school and that was an awful long time ago! But needs must and his are greater than mine at the moment. It will all be over by 19th June though so I might get a bit more time then! 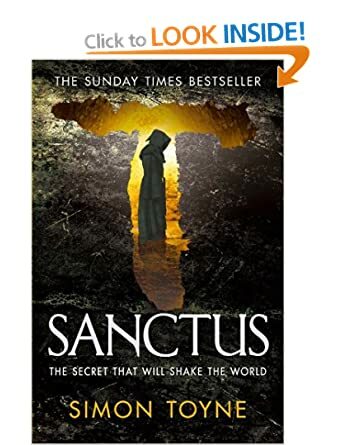 I have managed a couple of rows on my granny stripe blanket though and have read a brilliant book which I highly recommend (if you like a Dan Brown kind of mystery/adventure/save the world thing) – it’s called Sanctus by Simon Toyne and is the first part of a Trilogy – I’m about to start on part three! Talking of Dan Brown – I’ve also downloaded his new book to my Kindle and will save it for my holiday which will probably be wet (Cornwall in August) so I’ll need something to do in between all the crochet!